In this detailed Resource page, we feature an abundance of Docker Tutorials! If you wish to build up your Docker knowledge first, check out our Docker Tutorial for Java Developers. Docker stormed into our industry and in no time dramatically changed many well-established software development and operational practices and patterns. These days pretty much every organization is using Docker (or equivalent of it), the brave ones even in production, and its adoption is growing at fantastic pace. In this article we are going to explain the main features of Docker. We are going to briefly explain why containers are necessary, which are the main commands to use and how to use Docker in our integration tests. What is a Docker container – How to use Docker? Containers, in general, and Docker in particular is quickly gaining in popularity. In this post, we will get some basics sorted out about the Docker container. In this example we will explore different ways of running basic “Hello World” containers in Docker. Creating a Docker Hello World container and getting it to work verifies that you have the Docker infrastructure set up properly in your development system. This example introduces how to create a Docker container and connect to it. We are going to master the Swiss army knife of Docker, its command line tool of the same name docker and its best friend docker-compose. We will go over a few key Docker Engine APIs and demonstrate how those could be consumed from your Java applications using Spotify Docker Client. It is time to apply the knowledge we have acquired to real-world Java projects, starting the discussion from the topic of how Docker affects the well-established build processes and practices. In this part we are going to focus more on how Docker impacts our development practices in a quite positive ways. In this section of the tutorial we are going to learn a couple of the frameworks which enormously simplify the integration, component and end-to-end testing of JVM-based applications by leveraging Docker and the tooling around it. Docker Compose is a tool for defining and running multi-container Docker applications. With Compose, you define in a configuration file the set of docker containers that application requires an specific machine. The purpose of this tutorial is to explain how to build docker images using the docker build command and the supported building options. As we will see, docker allows to build images using different approaches. In this post we will explore the command docker ps which is used to list Docker containers. We will also explore the various options of this command. In this post, we will discuss different ways to pass and set environment variables into a Docker container. Continuous integration and continuous deployment has become one of the most common use cases of Docker early adopters. CI/CD merges development with testing, allowing developers to build code collaboratively, submit the master branch, and check for issues. In this post, we will be using two containers one for redis and one python application. Next we will create a script to test our python application. An image will be created to run this test script in a container. According the official definition of Docker, it is an open platform for building, shipping and running distributed applications. It gives programmers, development teams and operations engineers the common toolbox they need to take advantage of the distributed and networked nature of modern applications. In this article, we will explain what is Docker and why do we use Docker. Going further we will learn some concepts of Docker and later, we will see how to create Dockerfile. We will then create Docker Image from Dockerfile. And finally, we will see how to run Docker images in the container using java code. 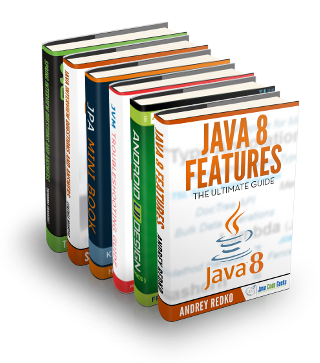 This article will introduce us to compiling and running a Java 9 example program using Docker technology. It will prime us in the origins of Docker technology, the differences with orthodox virtualization techniques, it’s architecture, tooling and use thereof to build, and run a Java 9 program. In this post we will learn about Containers as a Service (CaaS) in general and how Docker realizes CaaS. In this post, we will learn the basics of Docker container networking in a single host setup. We will see the basic inrastructure provided by the Docker Engine for container networking, the “Docker network” family of commands, and the basics of creating user-defined networks. This post introduces Docker Engine’s network feature in general and specifically introduces configuring DNS in containers. In this section of the tutorial we are going to glance over some of the most popular orchestration and cluster management engines (covering a couple of cloud offerings as well) which natively support deployment and lifecycle of the containerized applications. In this part we are going to focus on the one of the increasingly important topics of continuous integration. Docker is a containerization technology that provides OS level virtualization to applications. It isolates processes, storage, networking, and also provide security to services running within it’s containers. To enable this, Docker depends on various features of the Linux Kernel. Let us get introduced to these Docker kernel requirements in this post. In this example set, we will be exploring the functionality of selenium grid on Docker container. We will be deploying the hub and nodes of Selenium Grid on the Docker container and will be linking together so that we could run test cases on the docker container. In this post we will learn about how to install and configure Jenkins through the Jenkins Docker image. This post introduces Docker Swarm – the Docker Engine’s Swarm mode. The Swarm mode enables multiple machines running Docker Engines to collaborate in a cluster. Let us explore the basics of this.